The RightsTech Summit brings together creators, rights owners, technology developers, entrepreneurs, legal professionals, investors and policy makers from all media sectors, including music, film & television, publishing, games, photography, visual arts, and other copyright-based industries for a unique high-level discussion of the common challenges and emerging solutions for managing, tracking, and monetizing copyrights on digital platforms. The summit is part of the 2-day New York Media Festival, which also includes the Digital Music Forum, the New York Games Conference and the Future of Television conference. RightsTech Europe brings together a unique mix of creators, media rights owners,technology developers, investors, legal professionals, and entrepreneurs from across the globe and from all corners of the media world to focus on technology innovation in media rights management and licensing. Located in Frankfurt,Germany, the home of the European Central Bank, RightsTech Europe focuses on Europe’s leading role in driving rights management and monetization around the world. 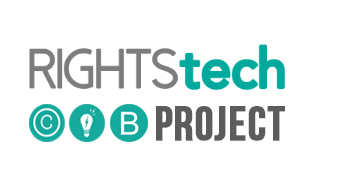 RightsTech Europe is a partnership between the RightsTech Project and Frankfurter Buchmesser (Frankfurt Book Fair), the world’s largest book fair and rights marketplace.